The 4th chapter in the Terminator series, Terminator Salvation, might lose the character of the franchise a bit, but it doesn’t lose the spirit, and is a necessary piece in order to continue and expand the film universe. Here we get a weird hybrid of an origin story set in the future. 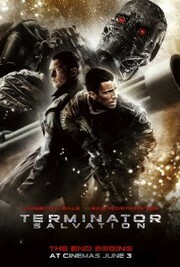 John Connor (Christian Bale) is faced with Skynet’s first attempt at a cyborg with human features, Marcus (Sam Worthington). Now Connor must abandon all he knows in order to see past what Marcus actually is–a weapon constructed by his enemy. It’s completely predictable and cliche, but it’s not without its positives. The main theme of second chances looms over our heads the whole film, but it’s an important one to say the least. Salvation is definitely one of the more intriguing films in the series simply because it’s the first time we really get to see the future. We already sort of know what’s going to happen, but it’s that anticipation that makes is more enjoyable and we can finally see the events come to fruition that had only been talked about up until then. Without tiring out the concept, it’s necessary to see the Terminator universe in this way. It’s safe to say that the series loses its character quality a little bit in this film. John Connor is much more serious, and so is our terminator protagonist. There’s less of the fish-out-of-water humor, as the levity is very few and far between. But what doesn’t work more than anything is the “relationship” between Marcus and Blair (Moon Bloodgood). They share a meet-cute and are supposed to be fond of each other, but we don’t actually see any of this. Their initial connection to each other consists of scenes wasted on lusty glances in place of actually building chemistry that would have rationalized a connection between the two characters. Therefore, their relationship doesn’t make any sense, nor does it live up to its potential of really being a driving force in this film. While I actually enjoyed Terminator Salvation, I just wish that it took some slightly different approaches. We’ve seen this movie plenty of times before, but somehow it doesn’t seem as bad as the others. It’s harmless and aims simply to make us laugh. A big issue may be that it’s not quite a family film, yet it’s nowhere near the level of an adult comedy. And with that limbo area covered, many folks try and make sense of it, but they can’t. They have to just boil it down to the fact that it’s a harmless movie that has been made–albeit maybe 10 to 15 years too late–and it exists. Paul Blart is a bumbling mall cop who takes his job way too seriously while also trying to win over the woman of his dreams. While James is funny, the script is terrible in the strictest sense. There are pretty much no jokes. All the humor comes from our lead’s goofy responses to different scenarios or his ridiculously clumsy actions. Some may not find this type of humor funny in the slightest, but I have a soft spot for slapstick. The film doesn’t dumb itself down too much, but when it does it’s painful. For instance, in one scene, Blart is held at gunpoint and relies on flicking a drop of hot sauce 15 feet into the bad guy’s eye, but then once it hits the guy, our protagonist fails to capitalize on his success by taking down the perpetrator. Blart then jokes about how he doesn’t follow up–which is funny, but also a cheap way for the filmmakers to extend the plot, as the antagonist gets away with two victims. The premise is stretched thin, but the movie never seems to get too boring for the more easily entertained. But it helps that we like the main character. He’s truly a great guy to root for and doesn’t have a mean bone in his body. We just really want him to win. 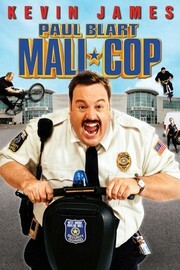 It’s predictable, cliche, and ridiculous, but Paul Blart: Mall Cop can be a pretty decent watch with a group of friends. 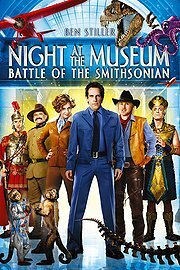 While not as organized as the first film, Night At the Museum: Battle of the Smithsonian is still a funny and entertaining movie for all ages. The humor for the parents is better, however there is a larger drop off of jokes from adult to child, whereas the first film blended them together better. Here, we see a lot more juvenile jokes that are taken overboard at times. And I know that the kids don’t see the plot holes, but you would think that there wouldn’t be so many more in this sequel. The whole movie you find yourself asking question after question for clarification of the character’s decisions, but they never end up making sense. While in some films you can find “good enough” answers for many of these questions, this movie will leave you concluding that the writing was just lazy. For instance, where are all the other night guards? And couldn’t Larry have just turned the middle tile on the tablet to freeze the characters when things got too chaotic? And what is the tablet’s range of magic? Does it go beyond the museum it’s being kept in, or is it city-wide? While lacking the element of surprise of its predecessor, it also blows the opportunity to answer some lingering questions about the rules of the film universe–things usually dug into deeper in a sequel. However, we aren’t just not given answers, but the conscious lack of information is exploited in order to make the premise work. And then towards the middle of the second act things get a little chaotic and the plot holes open even wider. The chaos may be attributed to the thinly stretched plot. Then we realize that there are issues with the character development. Larry’s character goes back to where he started at the beginning of the first movie and has to figure out the same issues to get him to where he had finished. He’s solving the same exact personal issues that were already solved in the previous film–a tactic that is a result of lazy character development. On positive notes, the cast gets even stronger here. While we don’t get the pleasure of Robin Williams on screen for all that much, Hank Azaria is amazing as the main antagonist. Although this film is still entertaining for the easily amused, the poor script and the character depth issues still hinder it from becoming on par with the first film. But like I said before, it’s a movie made for kids after all. This movie definitely has its moments. Although the tone was very inconsistent throughout–sometimes even annoyingly. It has a lot of moments where it gets deep and meaningful, but it is also tries to be too irreverent by forcing jokes that are easy, but not necessarily warranted. The film is a borderline dark comedy. I’m not sure if that’s what the filmmakers were going for, but they somewhat succeeded. However, there are too many off-the-wall jokes (a la Happy Madison) that keep pulling it away from that consistency which would make it a solid dark comedy. The kind that requires an acquired taste. It’s not easy to love like Bad Santa. The 3rd act is actually brilliant though. It really makes you forget that the first 2 acts were all over the place. Probably because now it doesn’t even seem like they set that much story up to begin with. It’s a good character study but Ronnie is a bit challenging to relate and warm up to at first. 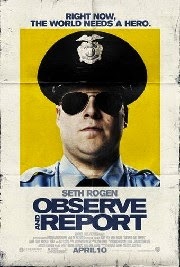 Seth Rogen was great. It was a bit of a different character than he’s ever played before, and also one of the deepest. Although the other characters aren’t quite as deep, it’s alright because they aren’t really the main focus. I wish we could’ve seen more of Aziz Ansari’s character though. And a follow-up with the gang that Ronnie beat up after he got ditched by the cop. Also, it has a killer soundtrack!